The development, distribution and usage of mobile phones has had a tremendously successful run across the world. There are, however, about 1.7 billion women in developing countries who don’t own a mobile phone. When it comes to Indian women, the percentage falls even below. 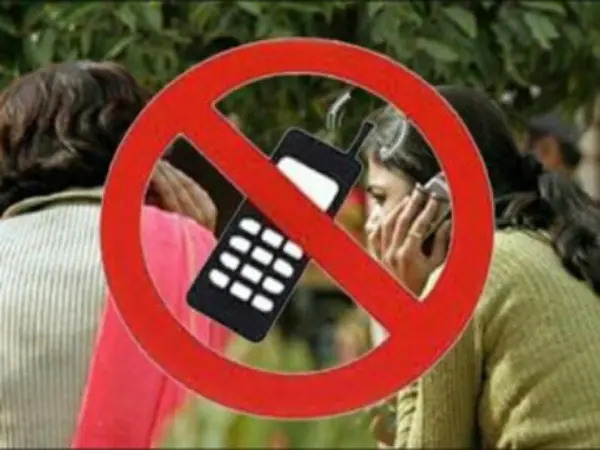 The Harvard Kennedy School study estimated that, today in India, 71 per cent of men use mobile phones, as against 38 per cent of women. 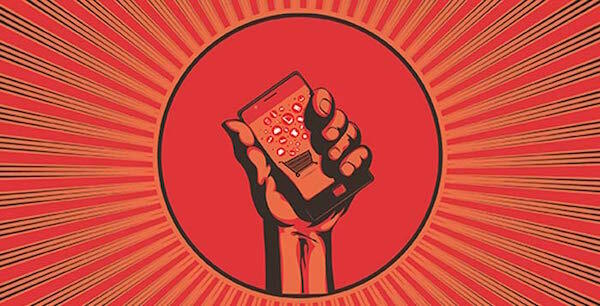 While many Indian women are getting empowered in the digital space, there are many more living without a reach, completely devoid of the economic benefits mobile phones have to offer. There are a plethora of economic benefits that Indian women can avail, to a great extent, while owning and using their mobile phones. Let’s throw light on some of the key areas where mobile phones can enormously benefit women in the country. Mobile phones benefit the economy through many channels. The most fundamental function that a mobile phone facilitates is that of communication between people. In this age and time, when the country is working towards women’s empowerment, it’s important to note that it’s the digital revolution which will empower women the most. 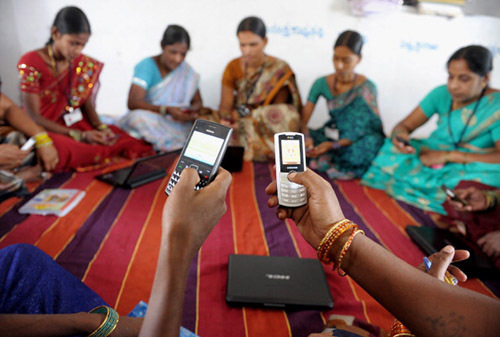 Women, especially those belonging to rural communities, are devoid of the vast impact that mobiles can have on them. Cellphones can not only help them access information, but also provide a platform for innovations. Also, initiatives like Internet Saathi have proved how women can realise opportunities in the remotest of places. Internet Saathi aims to empower women in rural India with the power of the Internet, so they may benefit from it in their daily lives. The study showed that the mobile gender gap lies somewhere between 15-20 per cent for making and receiving calls, jumps to 51 per cent for an SMS and remains above 60 per cent for social media. This means that women are not gaining the advantages social media has to offer. Discussions over social media, and information available on such platforms can help women foray into new roles and help them realise their potential. Open access services like Facebook can help them connect with like-minded people and thus gain new perspectives. Although the government may have introduced several schemes benefiting women, the coverage of the reach is still visibly low. Mobile phones can crucially help reduce this gap and women can become aware of the services they’re entitled to through mobile usage. While there are several discussions about making women financially independent, it’s important to understand that this framework first needs to reach women residing in rural communities. Women, via phones, can stay connected with several people. Staying connected during a commute or to discuss work or studies, can assist these women in gaining their own dependence. The new age mobile phones have an entire world inside them. Gaining knowledge through correct sources like apps, links, and social media groups is a huge benefit women can derive on their own, in their own space. The research sates that 47 per cent of the women who access a phone are phone borrowers rather than owners, as compared to 16 per cent of men. It’s a proven phenomenon that borrowing a phone rather than owning one imposes practical limitations on diversification and independence for women. Therefore, owning a phone in the first place can help them break the barrier. Mobile money is another economic benefit that is the latest trend in this capacity. Rural women, while sitting in their homes, can learn the use of money and transactions through applications where they can deposit, transfer, and withdraw money without access to formal bank accounts. Digital entrepreneurship is one of the most beneficial outcomes of internet in this day and age. Women are responsibly implementing the use of communication, research and media online. Apart from being efficient and time-saving, it makes a huge amount of information available — ranging from law, market information, ideas and technical support. The surveyed women acknowledged that after marriage, norms dictate that their primary responsibility is to take care of her family and household. This home-centric role, they believe, leaves them with few opportunities to use the phone for productive purposes. Women who chose to take a step back from their respective careers post marriages, but wish to return to work and opportunities can avail such options via mobile phones. The Jensen (2007) book report provided an evidence for this benefit. Using a natural experiment in Kerala, India that relies on exogenous timing in the introduction of mobile phone service, The study, in an example, showed that in Kerala, mobile phones reduced price dispersion between different fishing areas. This happened by improved coordination via phones and internet access between fishermen and consumers, thus creating a more efficient market. Households with mobile phones have an increased variety of crops grown and sold. This is particularly for households where women are more likely to grow marginal cash crop. Although there are fewer means to travel, this has become possible because mobile phones help reduce search costs in markets, and also investigate about trends and schemes. There is no end to learning and information available on a device has been validating this for more than a decade now. Young girls and women have the capability to achieve greater heights and mobile phones help them realise that. Programs, studies, papers, blogs, and books, available in matters of a click practically assist in learning. These tools can help women educate themselves from any corner of the world. The cause for worry here is that this mobile gender gap is problematic in more ways than one. This particular gap can aggravate other forms of inequality and mean lesser networking opportunities for women. Therefore, there is an immediate need to address the problems of availability and reach among women belonging to rural backgrounds. It’s only then that women empowerment initiates will be strengthened leading to economic independence.